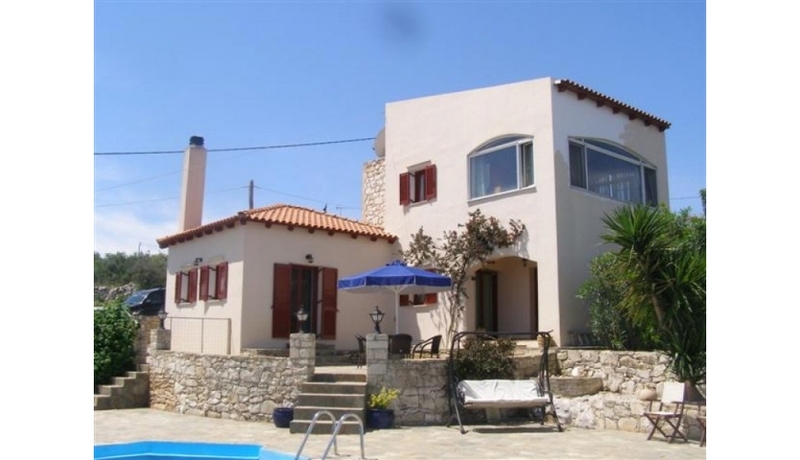 This lovely, traditional 3 bedroom villa sits on a large plot sat amongst beautiful forestry land — near Xirosterni and Gavalohori villages. It has very nicely landscaped gardens, a large private pool and terraces and is very well maintained. 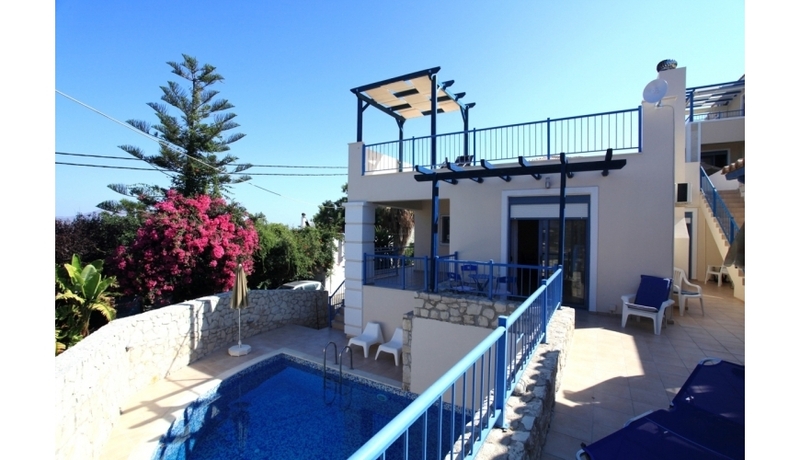 This property holds a full EOT licence and is perfect as either a holiday rental villa or full time family home and is very convenient for the resort of Almyrida. This beautiful house completed in 2003/4 is set in a very secluded location amongst the Olive and Pine trees with great views of the White Mountains. The villa has been well designed in all areas — to make the most of the views and privacy. Inside the villa, there is a traditional feel with some lovely features such as rich, dark woodwork and a wood burning stove. The ground floor has a large open plan kitchen, dining and living area. The fully fitted kitchen comes with all appliances. There is also a spacious dining area — with a wood burning stove and its own terrace. Also on this level, there is a twin bedroom with en-suite WC and a separate fully tiled shower room. The villa also has plenty of internal storage space. Patio doors from the living area flow out to the vast covered side terrace, outdoor dining area, BBQ and the raised pool and sun terrace area. On the upper floor a spacious landing leads to the further 2 double bedrooms and the main bathroom with full bath and separate shower cubicle. 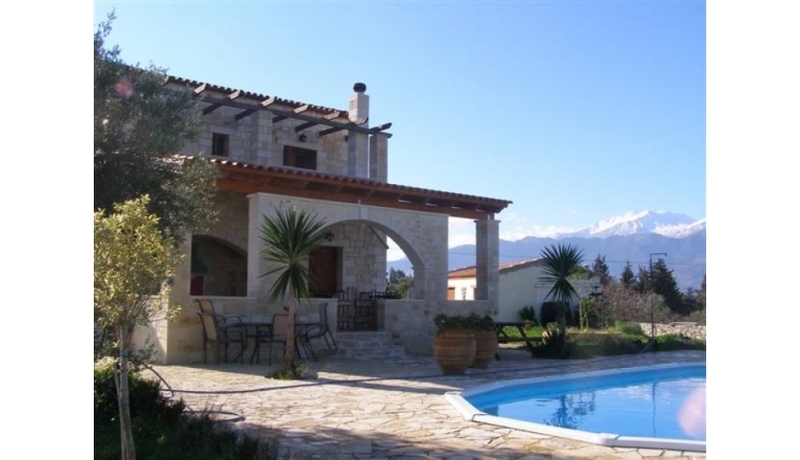 The bedrooms share a further large covered terrace with amazing views to the mountains. The villa has plenty of outdoor seating areas including a pretty vine covered pergola plus a built in BBQ area and outdoor shower. There are 14 olive trees and a couple of citrus trees. 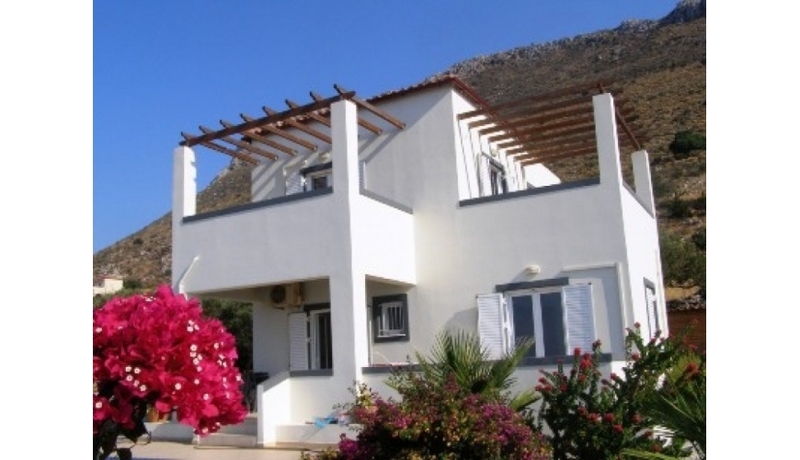 The villa currently holds an EOT licence plus all safety equipment for holiday rental and runs as a successful business. What is the sum of one and 3?